Aruba is a tiny Dutch Caribbean island off the coast of Venezuela with around with a current population of around 110,000 inhabitants. 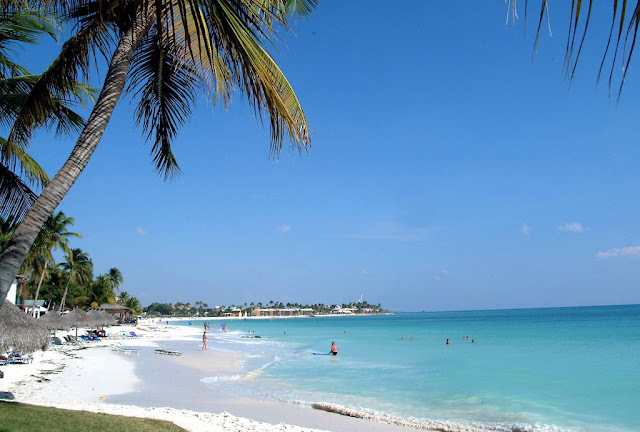 Being a small country that is cut off by water from any other countries means that Aruba has had to make it's own lottery games and the lotto industry in Aruba, be is small as it may be, is a good example for the rest of the world - and we should all see it as what it is! Each lotto has it's own set of rules, prizes, odds and days when it is drawn. The lotto with the biggest jackpot is the Aruban Mini Mega lotto game that has a progressive jackpot which starts at Afl. 250,000 ($139,665). The odds of winning the jackpot are good odds when compared to other lotteries because it is a 4/30 + 1 lottery game where 4 numbers are picked out of a pool from 1-30 plus a Mega number which is from 1-15. 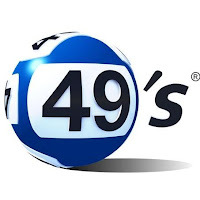 Meaning that matching all the 4 numbers plus the Mega number has odds which are a lot better than the odds of a lotto 6/49 matrix for example which is the matrix used by many national lotto games. Catochi is also known as Pick 4 lotto, in this game you have to select four digit numbers from 0000 to 9999. this is a bi-daily draw, when a ticket is bought after 20:45 the ticket can be used only for the upcoming drawing on the next day. Any winnings from a Catochi game have to be claimed within 90 days after draw day. Similar to Catochi, a four digit number is chosen by the player between 0000 and 9999. Big 4 is also a bi-daily lotto draw and can be played in two different methods, either Pick 4 or Last 3, but each choice is played as a separate play. When a ticket is bought after 20:45 the ticket can be used only for the upcoming drawing on the next day. Any winnings from a Big 4 Lotto game have to be claimed within 90 days after draw day. In Zodiac lotto, a player will choose 4 digit numbers between 0000 and 9999 and also a zodiac sign. Drawings are bi-daily. When a ticket is bought after 20:45 the ticket can be used only for the upcoming drawing on the next day. Any winnings from a Zodiac Lotto game have to be claimed within 90 days after draw day. With Korsou lotto, there are a few different methods for playing which include Pick 4, Last 3, Back 2 or Back and Front, each choice is played as a separate play. When a ticket is bought after 20:45 the ticket can be used only for the upcoming drawing on the next day. Any winnings from a Korsou Lotto game have to be claimed within 90 days after draw day. Lotto di Dia is played by choosing five numbers between 1 and 30. This is a once per day draw (daily draw). When a ticket is bought after 20:45 the ticket can be used only for the upcoming drawing on the next day. Any winnings from a Lotto di Dia game have to be claimed within 90 days after draw day. In Lotto 5 choose five numbers between 1 and 35. Drawings are twice a week (bi-weekly draw) on Wednesdays and Saturdays. When a ticket is bought after 20:45 the ticket can be used only for the upcoming drawing on the next day. Any winnings from a Lotto 5 game have to be claimed within 90 days after draw day. Choose five numbers between 1 and 30 and a mega ball number between 1 and 15. Drawings are twice a week (bi-weekly draw) on Tuesdays and Fridays. When a ticket is bought after 20:45 the ticket can be used only for the upcoming drawing on the next day. Any winnings from a Lotto 5 game have to be claimed within 90 days after draw day. Mega Plus Lotto can be chosen when playing the Mini Mega game. If you want to choose the Mega Plus option, you can do so by upgrading your Mini Mega ticket when buying it. Can You Play Aruba Lotto Games Online? From our inquiries the Aruba lotto official website does not sell tickets online, also there are no online lottery messenger services (such as Lottosend or Lottoland) as of yet that offer online purchase or betting for the Aruban lotto games. So if you want to purchase a ticket you have to either go to Aruba to purchase a ticket or ask someone who is there to buy a ticket on your behalf. The SuperLotto Plus California Lottery is a great place to start when searching for a lottery to bet your money on. It is a Powerball game that five numbers are chosen from a set of 47 which is one group. One number is then selected from a different group of 27 numbers. It starts at $7 million and has now reached a record of $197 million as no winner has been selected. The SuperLotto Plus California Lottery draw is done two times per week (Mondays and Wednesdays). This raffle is almost impossible to win because only 1 in 41,416,353 are the odds for winning. That is however an ok odds as some raffle lotteries can reach up to 1 in 200 or even 300 million or more. Find a SuperLotto Plus online lotto ticket service such as Lottosend if you are playing online from outside the USA. If you are playing from California, there are over 22,000 retailers in California increasing the average rate of finding a retailer near your home, coffee shop or retail store in your region. This lottery is however not easily accessible to international players who would wish to try their luck unless they use an online concierge service such as Lottosend . Select your numbers in three different ways, quick pick, advance play or randomly. Random pick involves selecting random lucky numbers listed from one to forty seven on the SuperLotto Plus playslip. Then selecting from 1 to 27 for MEGA number. One playslip can hold up to five plays using your lucky numbers and you may play as many playslips as you like. As a player you also have the option of selecting quick pick for your first lucky numbers. Here the numbers are automatically selected for you. Quickpick can select for you ten plays on a single playslip. Advance play is the final means of selecting numbers. It enables you to play consecutive draws with one playslip. This can be done by marking the Advance Play Box. When an error is made click on the void box. Pay for your payslip with a $1 for each play when playing in the USA in order to receive a ticket. Your ticket will act as your receipt. This receipt contains the numbers selected on the plays, the date of playing and the amount paid. There will be a second code printed on your ticket for every $1 spent on a ticket. To increase your chances of winning. E.g if you pay three dollars you will receive three second chance codes for the next lottery draw. This is the part where you sit back relax and dream. Picture what you would do if you won the money. Build castles in the air and hope for the best. Remember to check once the lottery is drawn every Wednesday and Saturday at 7.45 p.m. PT. You can follow the draw or check for the winning numbers online. One can also check if they had won by scanning the barcode from a lottery retailer. I wish you all the best in the raffle. If you actually do win send some dollars this way! The New York Lotto has been around since 1967, exactly 50 years. Each individual ticket costs $1 and comes with two plays, with a total of 10 plays available per slip, which costs $5. To win the jackpot, correctly match the six winning numbers between 1 and 59. The New York Lotto’s live TV drawings take place on Wednesdays and Saturdays at 11:20 PM. The available game features includes the Play It Again feature, which allows players to buy duplicates of the tickets they have purchased within the past 30 days, which costs the same as the originally purchased ticket. This is a great time-saver. The bonus number helps improve your odds of taking home the 2nd tier prize. 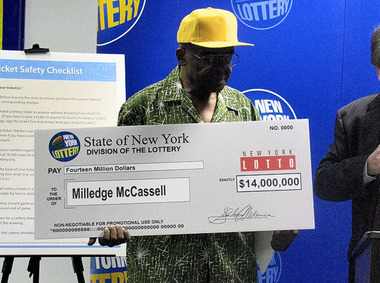 Here’s a rundown on the chances of winning a New York Lotto prize per $1 play. Here are a few tried-and-true tips to help you increase the odds of taking home a New York Lotto 6/59 prize. Odd/Even Numbers – no matter which lotto game you’re playing, try to include a mixed balance of odd and even numbers. Having all odd or all even numbers end up on a winning jackpot ticket is very rare. Use a combination of 2 odd 4 even, 4 odd 2 even, or 3 odd 3 even. Omit Groups – There is usually at least one number group that is not included on a winning ticket. For example, numbers in the 20’s and 40’s may not be included. Study groups of numbers and which ones tend to be left out and the ones that pop up consistently. Repeated Numbers – Most 6/59 lottery games will have winning tickets that include a number repeated from the previous drawing around 46% of the time. Avoid Low Numbers – Calendar numbers like birth dates, anniversaries, and special events are often used by lotto players. But since a calendar month only has the numbers 1 through 31 available, you’re limiting yourself if you use this approach. With 59 numbers available in the New York Lotto, try to include at least one to two higher numbers, like numbers in the 30’s, 40’s, and 50’s. 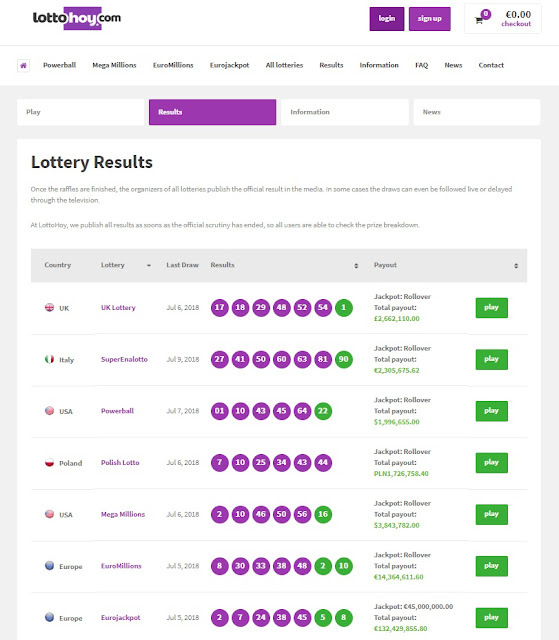 Lottosend presents an online ticket service for lottery that provides an easy, reliable and comfortable method of participating in the hugest and most famous licensed lotteries globally, such as Mega Millions and EuroMillions. Their objective is to give clients from throughout the globe a chance to take part in some jackpot lotteries that are among the most famous, comfortably from their mobile device or PC. Their team consists of a group of skilled experts with a huge range of skills acquired from years of experience in the sector of gaming and lottery. This means you are in good hands. Lottosend is a global online lottery found in Slovakia. If you are a player, you can get lottery tickets for ten of the hugest international jackpots. Lottosend utilizes its name and sends a copy of your ticket that is scanned to you. Not all online resources provide this comforting feature. Some websites are busy, intimidating or confusing. But, Lottosend can be navigated easily as it is clearly labeled. Traditional site options are available along the top right corner, such as Support, Frequently Asked Questions, Home, Results and Raffles, which is the latest option. As Lottosend’s blog indicates, the idea of lotteries goes back to the first game known as Keno. Playing of Keno began during the Han Dynasty in China, dating back to 187BC. It might have been the resource that was used in financing the building of the Great Wall of China. It is said that Augustus Caesar rebuilt Rome with money from lotteries. Along the coastline of Europe, in the 1400s lotteries were not just used in constructing and maintaining defensive tools; in addition, funds were utilized to assist the poor. Keno is played today, with more laws and regulations included; however, there is a chance of winning a huge quantity of cash using only one entry. Where the online world is concerned, Swiss Lotto ranks among the most popular lotteries you are able to play. A wonderful feature about this lottery is that it is possible to play online as well, which makes this lottery more precious. Although winning might be challenging, this is what makes it interesting! Playing online provides immense pleasure and is very rewarding. No real recipe exists here for winning. Numbers for lottery are formed randomly and the draw is done randomly as well. It is possible to track the randomly drawn numbers. You are also able to form patterns that can greatly benefit you fast, when you play them correctly. To win, you should play the probabilities. This is not as difficult as you might believe. Even if the probability of winning is normally 95% most of the time, the concept is to get a combination of odd numbers or even numbers, since they might be winners. But, the most ideal combination for one to have is 3/3,2/4 or 4/2. This presents many probabilities and the result can be an extremely profitable one. A previously mentioned, Swiss Lotto has very low chances of winning. This is the reason you should get a great, imaginative way to make the odds even. Try to operate with a group strategy; this can be very vital. You need to take things slow and avoid being in a rush. This is to ensure a wonderful outcome. For instance, you can miss out on some numbers, if you so wish. This can be effective and is very helpful in the end. Swiss Lotto gains its popularity due to its awesome jackpots. In itself, this makes it exceptional and fun since you are able to acquire a remarkable set of outcomes, making things much more enjoyable! A great number of jackpots are available for winning and one of the hugest jackpots was a whole CHF 70.1 million! Therefore, a huge amount of cash is available to be won with this specific lottery. The EuroJackpot presents the best winning odds as well as a thrilling prize winning chart of 12-tier. Players are able to take part in this lottery through OSA services. 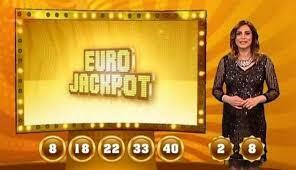 The official launch of EuroJackpot was carried out on 23 March 2012. Ten countries in Europe take part in this lottery. These are Italy, Germany, Iceland, Estonia, the Netherlands, Slovenia, Denmark, Finland, Sweden and Norway. Eurojackpot results can be found at this use full lottery website. Draws for EuroJackpot are held in Helsinki each Friday. So as to become winners of this lottery jackpot, players need to match 5 key digits from 1-50 and two additional figures from 1-10. EuroJackpot prizes are the same as for EuroMillions jackpot prizes. They are described as pari-mutuel, which signifies that prize divisions for lower level change depending on the jackpot’s amount. As the jackpot grows, so does lower prize divisions. The game format of 5/50 for EuroJackpot sums up to 2,118,760 combinations. But, so as to win the jackpot, you should match two extra numbers, where the combination of 7-number then presents an overall of 95,344,200 combinations. Even though it is only recently that the EuroJackpot was included as public entertainment, already, it has become the most famous in the globe. Jackpots start at €10 million and it is only possible for them to go up to €90 million when it goes back to the starting jackpot of €10 million. It is possible for you to beat EuroJackpot odds by playing the patterns that offer you the most ideal winning probability. A southern Germany man has become winner of a record 90 million euros, equivalent to 98 million euros in EuroJackpot draw. In Germany, this is the highest lotto win ever. This winner from Baden-Wuerttemberg state beat the previous record of 84.8 million euros set, for German EuroJackpot in August. This was revealed by Westlotto, which is a regional lotto firm in Germany.